Finding his voice at a youth theatre school at age 12, Dan Thomas has been busily performing in bands almost non-stop ever since. Fronting various Hard Rock/Heavy metal bands as a teenager and young adult, Dan gigged the local scene tirelessly. However, it wasn't until performing in Hertford/Essex based cover duo, Just Us, that he picked up a guitar and found his own sound. Setting out on his own for the first time, Dan has built a collection of songs that truly reflect himself as an artist. His first single, "Down", draws heavily on his experiences of dealing with the demons of anger, anxiety and depression and channels them into a song that comes straight from the heart. He still finds time for theatrical endeavours when he can, including work on a song for an all new original musical written by Ian Wherry in January 2017. 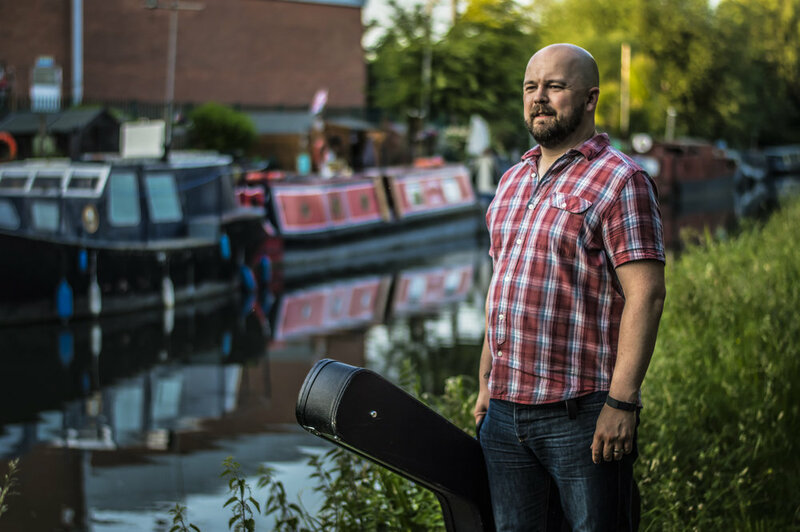 Dan has been gigging extensively throughout Hertfordshire, Essex and London since 2017, including 4 performances in 4 different locations in a single day at Hertford's annual Musical Mystery Tour in August 2017! Working with Producer Martin Lumsden at Cream Room Sound Productions, Dan released his debut EP, titled 'Crawling On The Floor', on 22nd June 2018.